Giorgio Vasari (1511-1574) was a man of many talents--a sculptor, painter, architect, writer, and scholar--but he is best known for Lives of the Artists, which singlehandedly established the canon of Italian Renaissance art. Before Vasari's extraordinary book, art was considered a technical skill, and artists were mere decorators and craftsmen. It was through Vasari's visionary writings that Raphael, Leonardo, and Michelangelo came to be regarded as great masters of life as well as art, their creative genius celebrated as a divine gift. 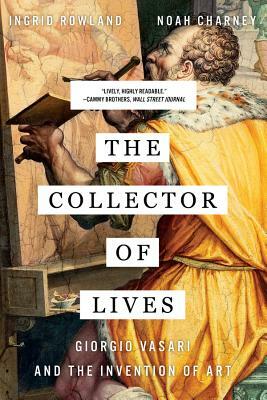 Lauded by Sarah Bakewell as "insightful, gripping, and thoroughly enjoyable," The Collector of Lives reveals how one Renaissance scholar completely redefined how we look at art.